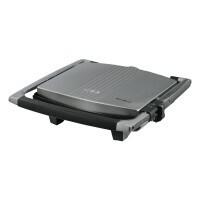 The 4 way Griddle & Grill is incredibly versatile. 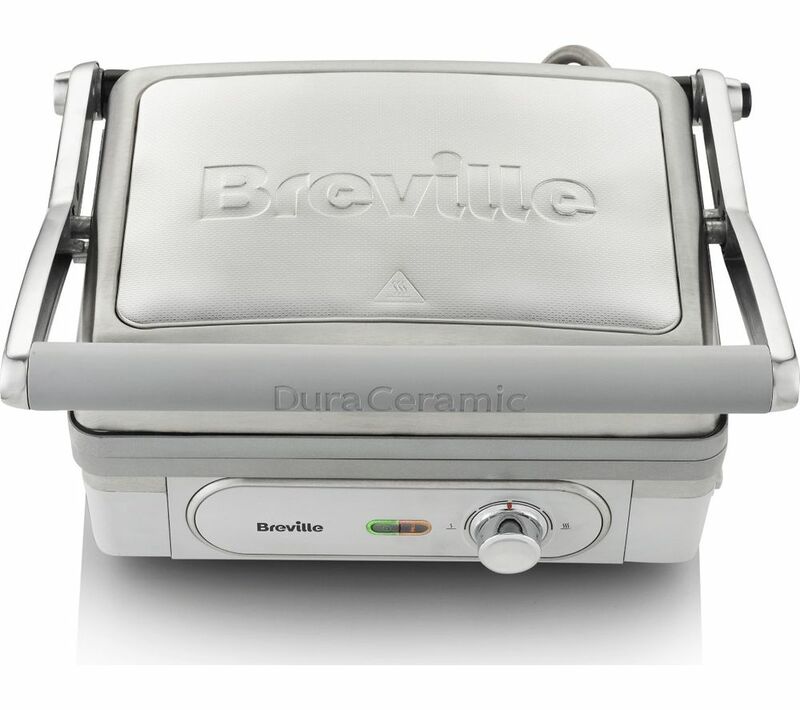 With reversible, non-stick griddle and grill plates and a range of cooking positions, you can use it fully open, as a contact grill or as a panini press. With a floating hinge designed to rest evenly across your food and a choice of temperature options including sear, performance is guaranteed. The plates are fully removable and dishwasher safe for easy cleaning. Make perfectly formed omelettes at home with this useful Elgento E27011N Omelette Maker. This machine makes two semi-circular omelettes, so you can enjoy all your favourite fillings without any tricky flipping in the frying pan. 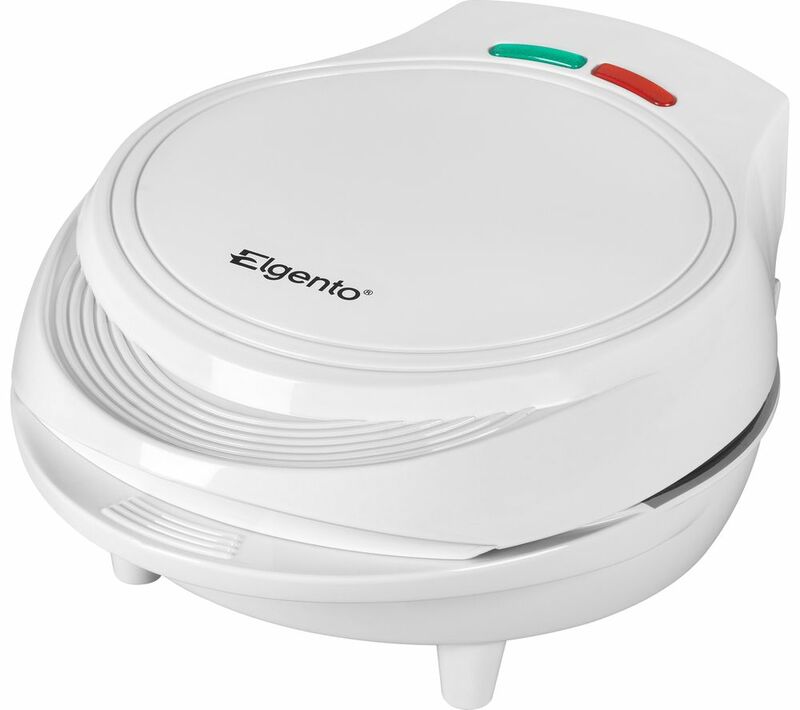 An LED indicator lets you know exactly when your omelette is ready.Once you've made your omelette, the Elegento E27011N Omelette Maker is no hassle to clean thanks to non-stick cooking plates. It's safe to use with cool touch housing, and non-slip feet keep it firmly in place. The Grillmate 3 burner barbecue from Embermann features a large cooking area with 2 side prep shelves. The main frame is stainless steel with the main frame finished in a matt black except for the front panel and hood handle, which are finished in a high shine silver. This barbecue is ideal for entertaining guests. The 3 burners cooking area features flame tamers which will prevent your food charring while it's cooking. The waterproof hood has an integrated temperature gauge for easy temperature control. The main frame features 2 wheels for easy transportation of the barbecue and also comes with a handy shelf for easy storage. The Modena 2 Burner BBQ from Embermann is a compact 2 burner gas barbecue. It is constructed from high grade steel with 2 side shelves and a hardwood storage shelf underneath. The cooking area is heavy duty cast iron and is divided into two parts for versatility - one side has the open flame grid design and the other side is a high power hot plate. The hot plate is ideal for cooking large pieces of meat as the temperature can be adjusted at the twist of a knob to ensure you food is always cooked exactly as you like it. The hot plate is also very useful for frying side dishes The whole grill area is powered by 2 burners with integrated flame tamers. This ensures that your food does not get charred during cooking. The Modena 3 burner from Embermann is a great barbecue mid range 3 burner gas barbecue. The frame and side shelves are constructed of high quality hardwood and the lid and front panel have been powder coated for added protection. The cooking area is heavy duty cast iron and is divided into two parts for versatility - one side has the open flame grid design and the other side is a high power hot plate. The hot plate is ideal for cooking large pieces of meat as the temperature can be adjusted at the twist of a knob to ensure you food is always cooked exactly as you like it. The hot plate is also very useful for preparing side dishes. The whole grill area is powered by 3 burners with integrated flame tamers. This ensures that your food does not get charred during cooking. The Modena 4 burner gas barbecue from Embermann is an excellent choice if you are planning on hosting parties during the summer. The frame and side shelves are constructed of high quality hardwood and the lid and front panel have been powder coated for added protection. The cooking area is heavy duty cast iron and is divided into two parts for versatility - one side has the open flame grid design and the other side is a high power hot plate. The hot plate is ideal for cooking large pieces of meat as the temperature can be adjusted at the twist of a knob to ensure you food is always cooked exactly as you like it. The hot plate is also very useful for preparing side dishes. The whole grill area is powered by 4 burners with integrated flame tamers. This ensures that your food does not get charred during cooking.